Disclosure: Your purchase of Member's Choice Debt Protection is optional and will not affect your application for credit or the terms of any credit agreement required to obtain a loan. Certain eligibility requirements, conditions, and exclusions may apply. You may cancel the Member's Choice Debt Protection at any time. If you cancel protection within 30 days you will receive a full refund of any fee paid. Please contact your loan representative, or refer to the Member Agreement for a full explanation of the terms of Member's Choice Debt Protection Program. 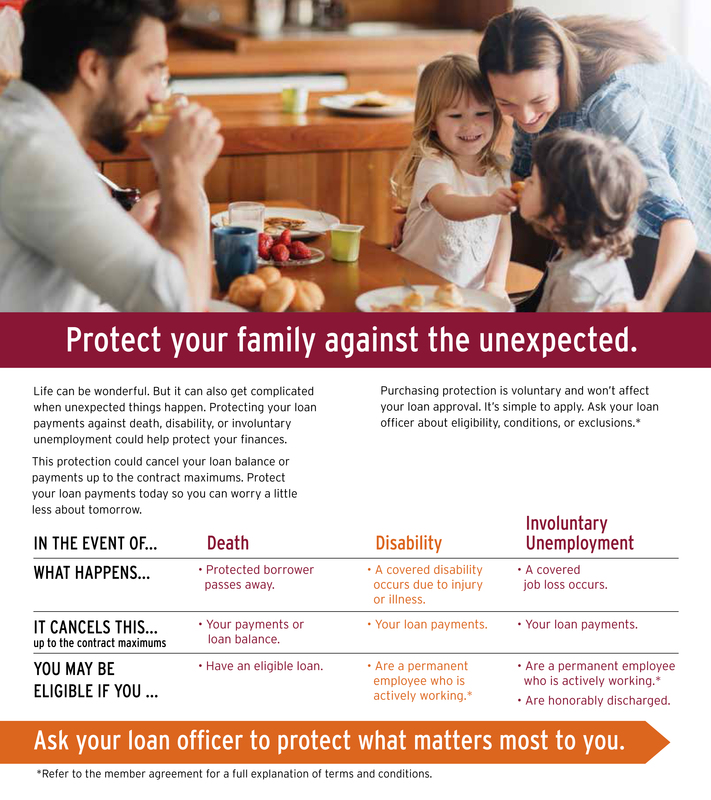 OMS#: DPM002 † MARKETING#: DP-1394018.1-0116-0218 © CUNA Mutual Group 2015, All Rights Reserved.